First you need to start with a black and white image of your animal. Be sure to print off something that has high contrast. This will help you to outline and determine the shape of your image. 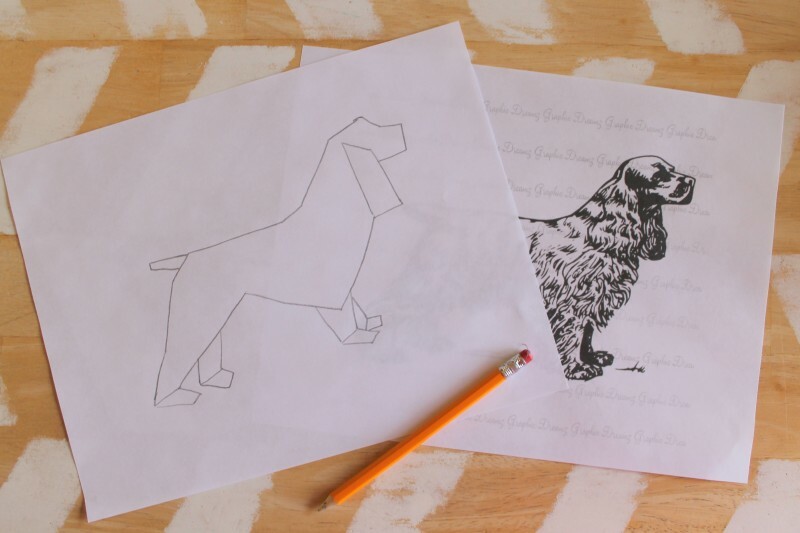 Trace a straight edged outline of the animal in pencil. You can use a light table or window to see through the paper to the original picture. 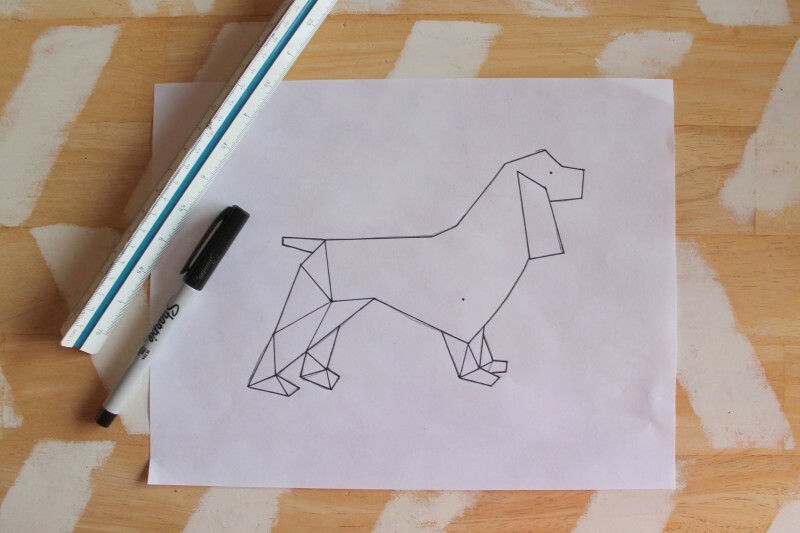 Using a ruler and thin sharpie draw the outline again. Create 3-5 dots within the outline. These will be your points of interest. 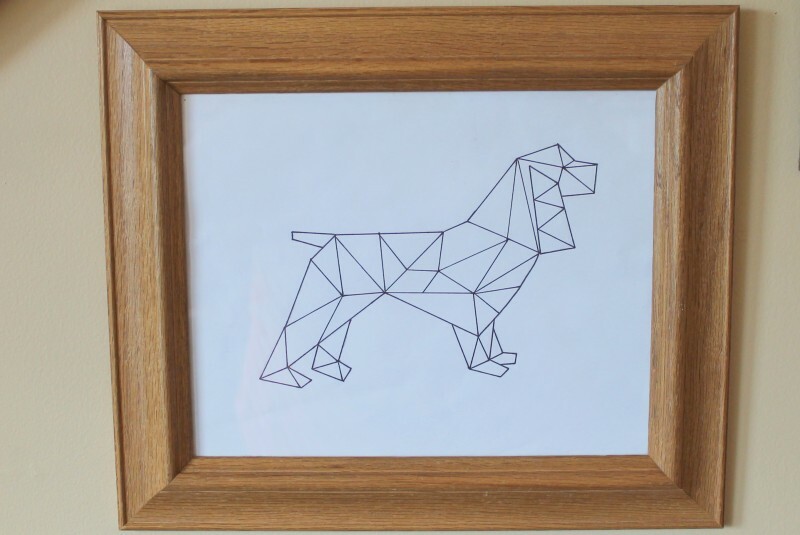 From these draw straight lines with the ruler and sharpie to intersections on the outline and within the body of your image. If you are unsure of this step try playing around with pencil first and tracing over your lines in sharpie when you are happy with the image. Erase any pencil marks and you are done! 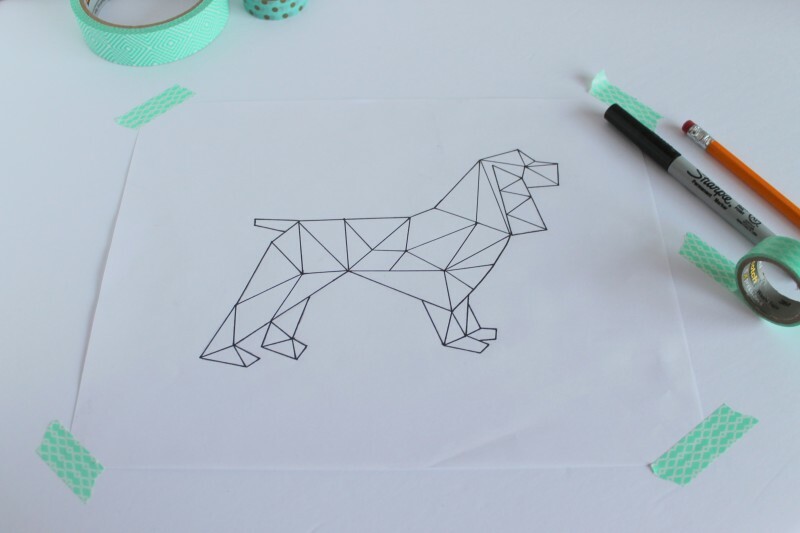 Additionally I scanned my image, boosted the contrast in Picmonkey and created this FREE Geometric Spaniel Printable. Hooray! I love how this print turned out! 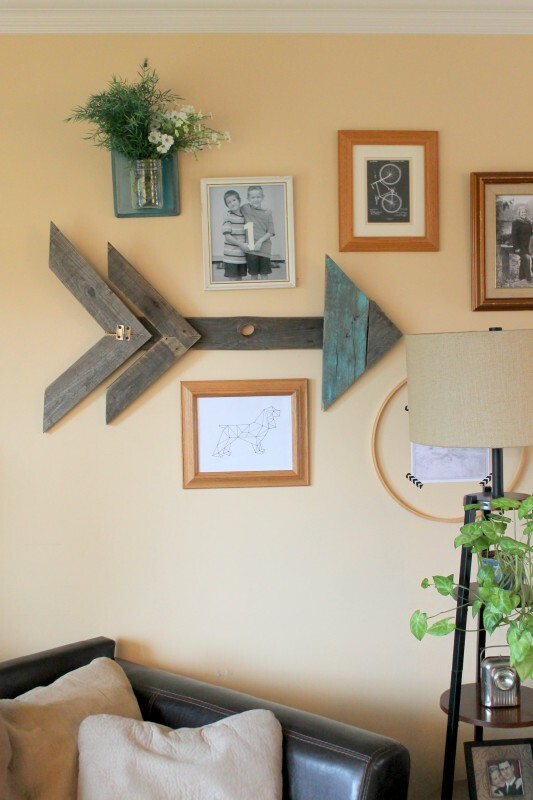 It is one of the more subtle elements of our Gallery Wall that adds a ton of personality. 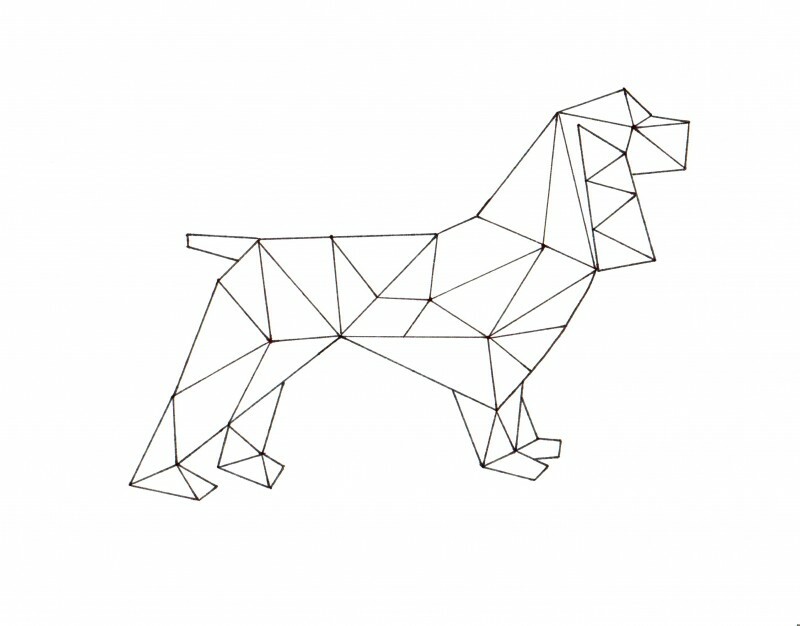 What animal would you choose to create geometrically? 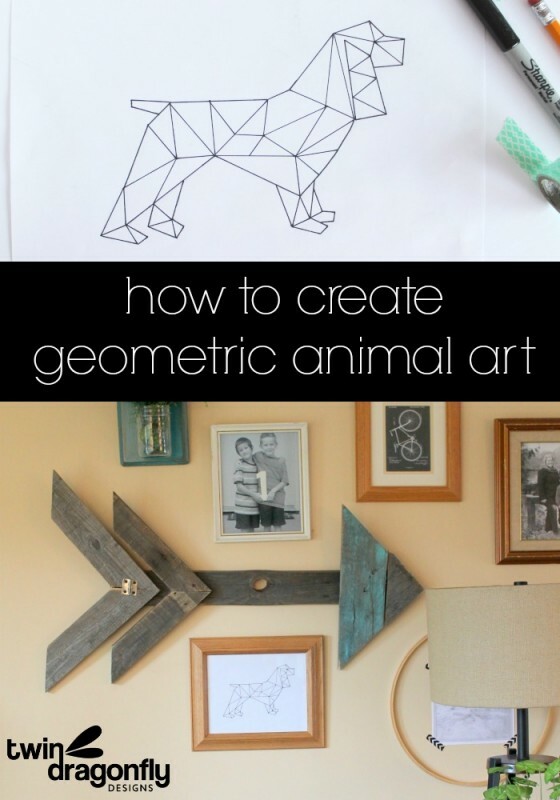 Thank you for sharing your instructions…I just saw some wonderful geo art on Etsy and would like to do some of my own. It looks like so much fun. 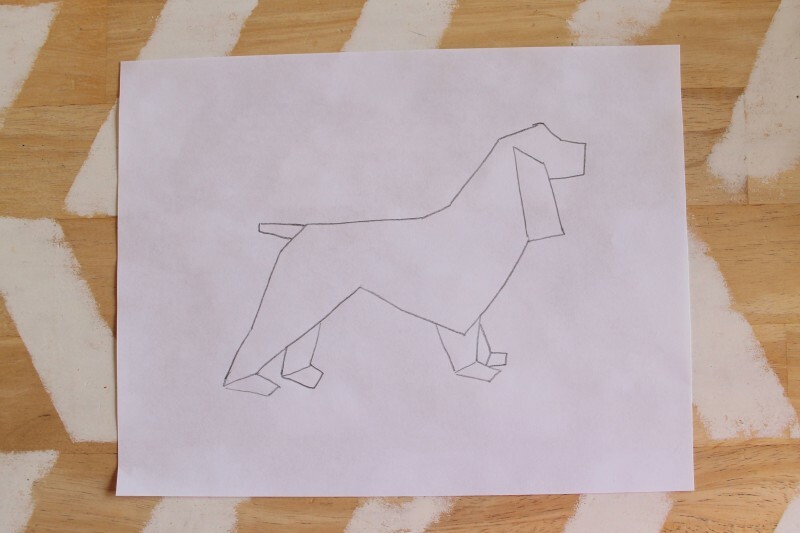 Is it possible that i can ask you to draw a geometric jumping horse for me?